The Two Rocks Volunteer Marine Rescue Group has been assisting the Western Australian boating public since 1991. TRVMRG is a not for profit organisation operated by those who willingly dedicate their time to provide on-the-water assistance, radio coverage, administration, finance reporting, training and maintenance of equipment. Our operational readiness is made possible by major funding from the WA State Government through the Department of Fire and Emergency Service (DFES) and limited funding from Wanneroo City, corporate sponsorship, public donations and fundraising. Our skippers and crew hold nationally recognised maritime qualifications, first aid and advanced resuscitation certificates as you would expect when dealing with a leading professional organisation, which has a long history and valuable record of service to the boating community. Our aim is to uphold the highest level of professionalism, care and support to all those calling for assistance by maintaining appropriate standards in personnel development, equipment and training. We continually revise and improve our standards through professionally conducted courses, assessment by independent consultants, public feedback and on the job training. Our volunteers are trained and encouraged to attain excellence in performing their duties and responsibilities as volunteers under all conditions. Two Rocks Volunteer Marine Rescue maintains a fleet of purpose built rescue vessels and retains an experienced and dedicated crew that are available to assist you 24/7. We are proud to have the most effective marine rescue capability in our area. Our skippers have over 60 years experience in specific marine rescue techniques; our boat crew undergo extensive and continuous rescue training. We are always able to respond quickly, professionally and effectively to any marine incident. Be recognised as a model for friendly co-operation in striving for excellence in the provision of marine emergency services. Be equipped to provide assistance and support in co-operation with other agencies to the local community in times of need. Develop community partnerships with other emergency service providers, community groups and leaders and corporate sponsors. Have 20 young adult members regularly involved and trained for active duty. Provide outstanding club facilities and functions to acknowledge and cater for members, sponsors and volunteers. Establish regular interaction between Volunteer Marine Rescue groups and stakeholders to maintain professional standards and world’s best practice. 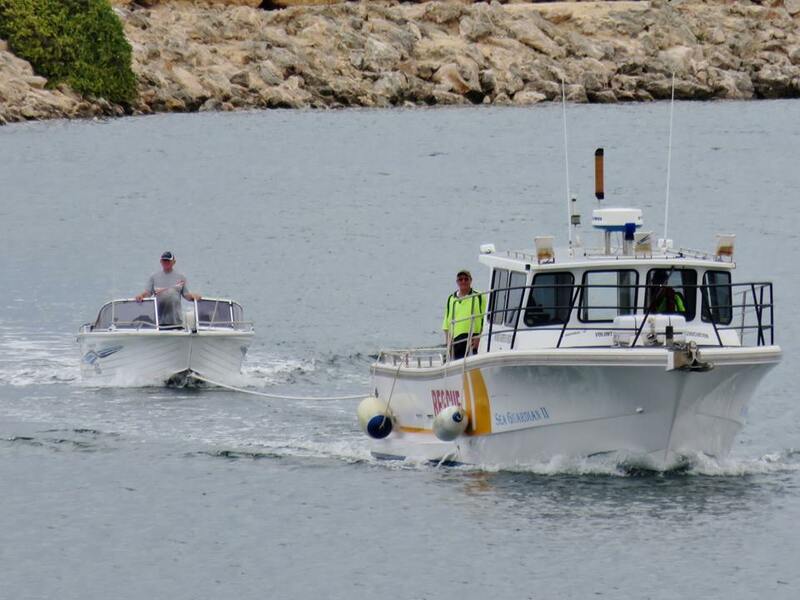 Operate three vessels with 80 active members on call to patrol between Mindarie to our South and Ledge Point to our North in co-operation with other groups. Be acknowledged as an agent for positive community development, as an effective, innovative and dependable Volunteer Marine Rescue (VMR) service provider and a leading training facility encouraging safe boating education programs in our area of responsibility.